Greek Local Development Centre “Dione” and British Greeting Cards Company “LittleBig Cards” met with other European organisations and stakeholders in Stockschloss, Austria from the 18th of September to the 28th. Advances of Erasmus projects have been made, unifying with other active participants and initiators. Taking part in the “Does stranger, equal to danger?” youth exchange, the founder of “LittleBig Cards” Georgina Cooper, in collaboration with Vaso Charitopoulou (founder of “Dione”) under the Erasmus for Young Entrepreneurs programme, met youth workers and volunteers from: Greece, U.K, Spain, Italy and Austria. 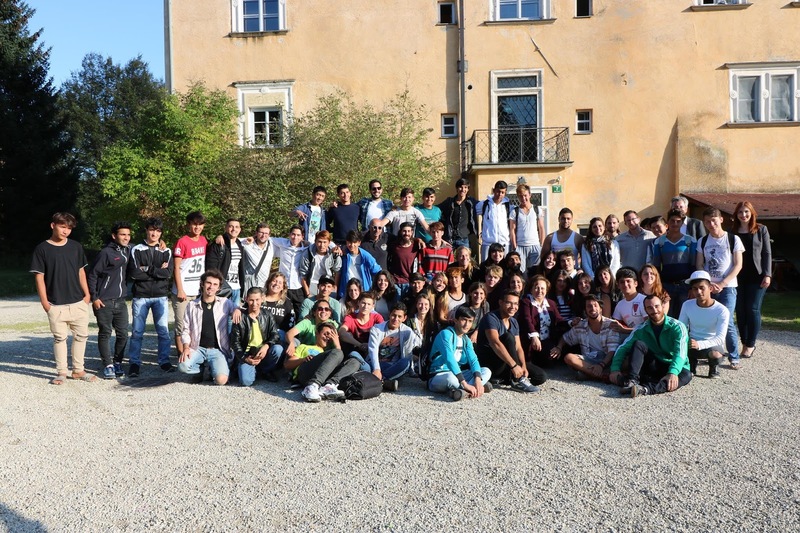 The youth exchange encouraged the young people to become active and responsible citizens, taking part in shaping a more equal and sustainable world and to develop a sense of appreciation of cultural diversity, affirmation of social justice and human rights. 35 active and creative minds, joined together to develop actions, initiatives and works of art to address human rights, tolerance, diversity and work against racism. Each one explored topics such as, migration, stereotypes and prejudice about other people and minorities. Multimedia was used to express and communicate each topic explored during the project. Human rights activist and Nobel Peace Prize winner, Shirin Ebadi, received a warm welcome from the Erasmus exchange participants. She spoke of her pioneering efforts for democracy and human rights, especially refugee rights and the necessity of a smooth integration into society. When asked about dealing with difficult situations, she showed an optimistic approach to life by responding “The glass is half full” and that she finds solace within god. Further to the exchange there will be a follow up, for stakeholders and organisations that are interested in future exchanges and projects in the Ilia region, Greece, allowing further action to be made. Αναρτήθηκε από Dioni LDC στις 10/04/2016 06:29:00 μ.μ.